It’s the ho-hum time of year as we (would like to) start stowing away our winter boots and march towards a bright spring. 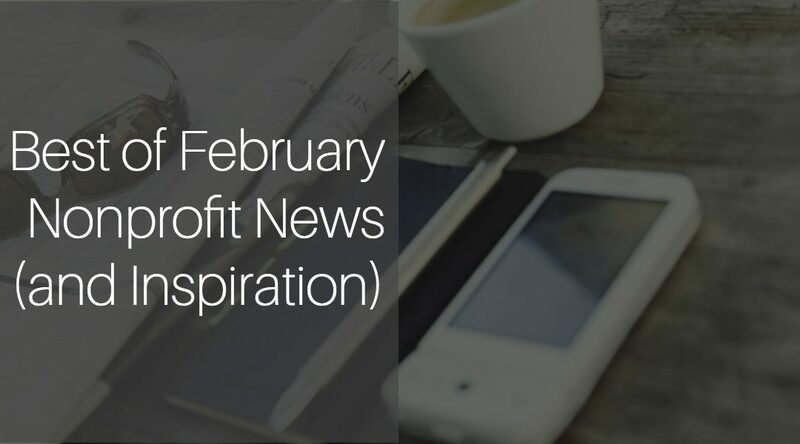 As we daydream about warmer weather, let’s take a quick look at some articles from last month that we found interesting and helpful for nonprofit professionals. Five Ways to Keep a Donor’s Eyes Glued to What You Write – This post from GuideStar offers up some tips to do more than tackle writer’s block and really engage donors in what they want to hear from you. 13 Awkward Moments for Nonprofit Employees – Just for fun! We’re sure you can relate to some of these moments. 5 Online Communication Styles for Nonprofits – An organization needs multiple communication channels, but an effective online presentation is increasingly more important. 4 Tips for Feeling More Comfortable When Making Asks in Person – Whether rookie or seasoned fundraiser, who couldn’t use a few tips to being more at ease with in-person asks? When you’re working for or with nonprofits and organizations that are actively affecting change, our collective motivation to keep going is often found in the stories. And here are a few of those that remind us of the good things happening every day in every community. Do you enjoy a little coffee break to catch up on reading as much as we do? Check out our other articles – click here!